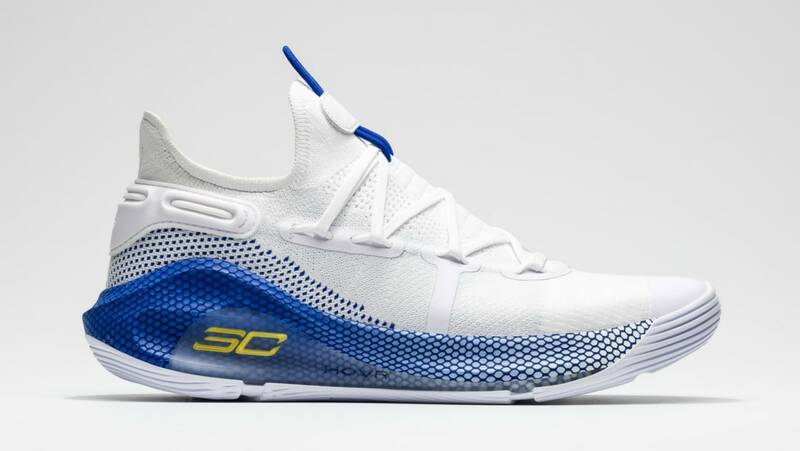 Under Armour Under Armour Curry 6 "Dub Nation"
Under Armour Curry 6 "Dub Nation"
The "Dub Nation" Under Armour Curry 6 takes on the colors of the Golden State Warriors' home uniforms, sporting a palette of white, royal blue and yellow. Release date is April 5, 2019 at a retail price of $130. News Under Armour Curry 6 "Dub Nation"